Markbass Little Mark Tube Bass Guitar Valve Amplifier Head, 500 Watts, 4 Ohms, 4- Band EQ, Variable Pre-Shape Filter, Vintage Loudspeaker Emulator. The Markbass Little Mark Tube gives the warmth and richness of a tube preamp, or the clean attack of a solid state preamp...or a mix of both! On the front panel there are also two inputs with separate gain controls: one 1/4" jack, and one combo jack that accepts either an XLR or 1/4" input. 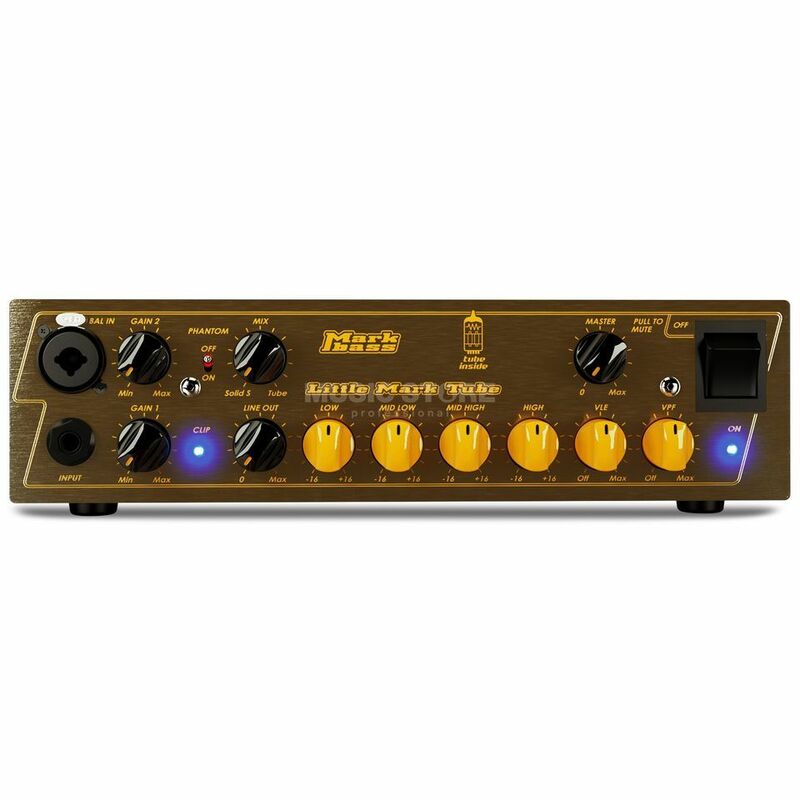 Additional features include switchable 48V phantom power for the XLR input, solid-state/tube mix control, four band EQ, VLE and VPF filters, line out level control, pre/post EQ switch for the XLR out (on rear panel) and mute control (push-pull on the master volume knob). SPEAKER OUT speakon/1/4" combo, 1/4"